Wolf Creek is a tributary that flows into Summit County. The dam on Wolf Creek was completed in 1926 and has a surface area of approximately 240 acres. It feeds into the Barberton Reservoir which is the primary source of drinking water for the City of Barberton and helps to prevent flooding in the area. In 2016 the City of Barberton purchased Metal Craft Lightweight floating docks for use at the Wolf Creek Dam. Lightweight floating docks are great in applications where the water levels fluctuate on a regular basis. Each dock section is connected with either locking plates or hinges for rigid or loose connections. Today our lightweight floating and frame floating docks are manufactured with polyethylene flotation making them environmentally friendly. 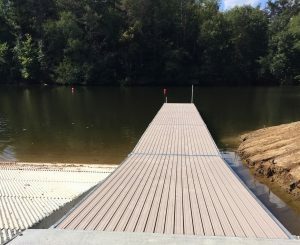 Lightweight floating docks are available in four standard widths, three standard lengths and three standard decking colors. All sections are made from aluminum extrusions and feature a poly acrylic, non-skid finish for safe footing. Additional accessories include handrail, swim ladders, mooring cleats, pvc bumpers and dock lites. Installation for this project was completed by Authorized Metal Craft Dock Dealer, RCP Marine & Equipment. Metal Craft Docks has been designing, engineering and manufacturing dock systems for over 80 years! We’ve made few changes over the years in our design so even if you own a dock that is 50 years old, the parts and accessories are still available for your system. Metal Craft Docks is a family owned and operated business priding ourselves on exceptional quality, design and outstanding customer service. Metal Craft Docks and Lifts are made entirely of aluminum so they are naturally light-weight making installation and removal for storage easier. We are proud of the craftsmanship that goes into every one of our products manufactured in our Mentor, Ohio facility. When you purchase a Metal Craft Dock and Lift you are making an investment. We know you will be happy with your Metal Craft purchase for decades into the future! RCP Marine and Equipment is locally owned and operated by Bob Davis. Bob offers 13 years of experience and is a year-round resident of Lake Mohawk specializing in Lake Mohawk docks and lifts. 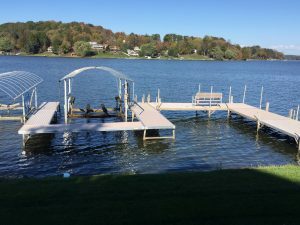 He understands and follows Lake Mohawk POA’s rules and restrictions while designing a dock that will still meet your needs. His full service company provides consultations, worry-free Metal Craft products, installation and maintenance. 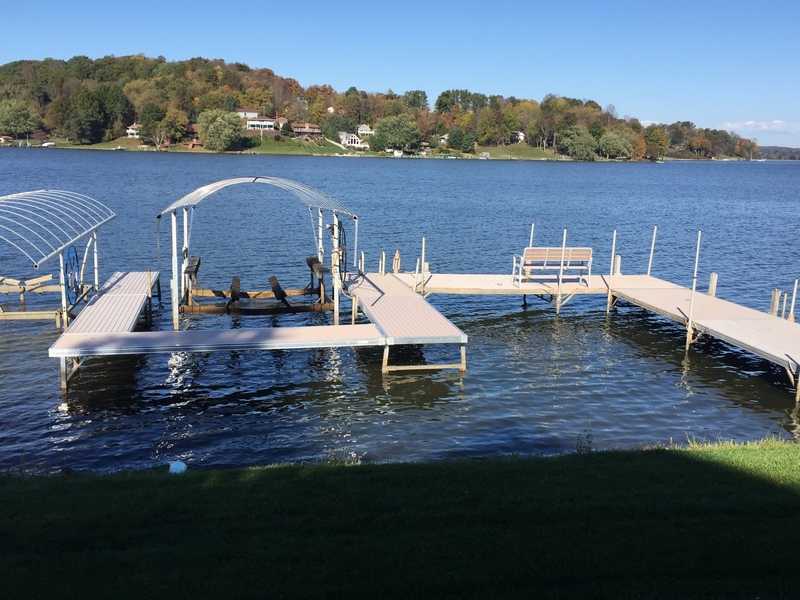 Please contact Bob Davis at (330) 705-0894 or email rcpmarine@gmail.com to discuss your dock and lift needs.